Hullo hullo, been here awhile but just started to pick up sketching again. 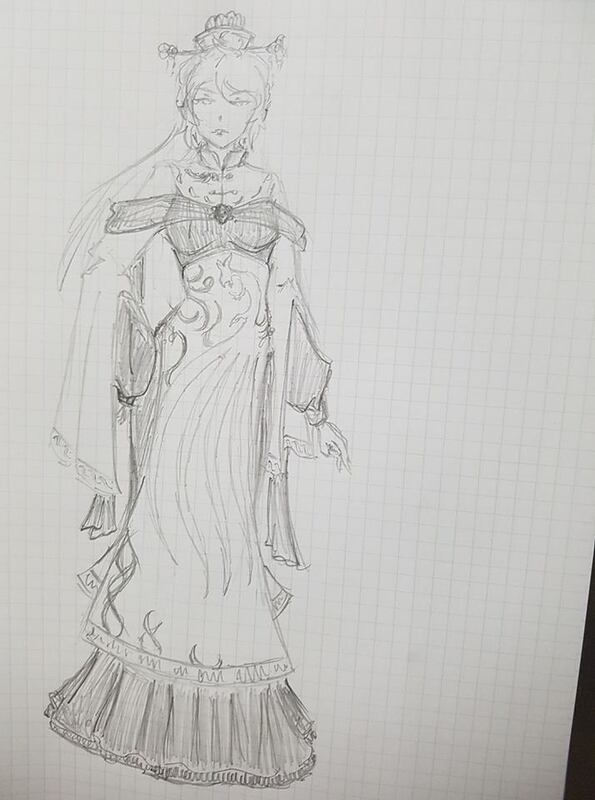 I mostly sketch to visualize and design costumes so drawing really isn't my primary focus (It does however work wonders to kill time) but I'd love tips and some pointers along the way if anyone can spare the time to critique my stuff. I once had this grand idea of producing a doujin product which catalogs the redesign process and then subsequently the construction process of a costume for all the characters in a touhou game (stage bosses). Complete with a photobook accompanying it with the costumes modeled by various friends. Such a project is sadly beyond my reach in the near future though, as it will take simply too much time and money to realize. One can always dream of course, and earmark it for future reference. In the meantime, more practice! I primarily use traditional media in my works, since it is quite hard to sneak a drawing tablet into my workplace and I spend most of my time home fiddling with sewing rather than working on my PC. I am thinking of exploring into more options with coloring since there is only so much I can visualize in a black and white sketch. That's a neat outfit. I like it! 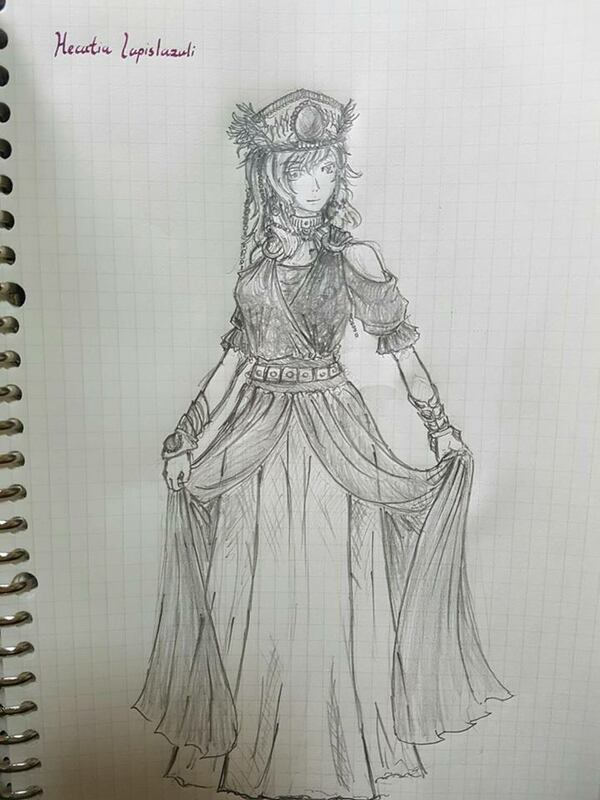 I intended to design something to go along with Hecatia but got stuck at Junko's costume for a long time. Out of the few designs I sketched out I think this one has the most potential in terms of balance and viability as a costume.